Declaring bankruptcy is a pretty extreme measure, but used in the right way at the right time, it can save you money, preserve your peace of mind, and get you back on your feet financially. However, declaring bankruptcy can also be expensive and time-consuming, and have a huge impact on your credit store. This, in turn, can have far-ranging effects on other aspects of your life, such as buying a new car or home, or even applying for jobs. Also, waiting to declare bankruptcy until you are completely broke can actually work against you. Because declaring bankruptcy has significant and long-ranging effects, consider all possible alternatives first. If any of the following situations apply to you, bankruptcy might not be the right choice just yet. 1. Can you find the money to pay bills another way? Taking on a second or third job isn’t a fun way to spend your evenings and weekends. But even if it’s just for a short period of time, the extra income could put a real dent in your debt. 2. Have you been following a budget? Many people don’t follow a budget, and thus don’t really know where their money goes, other than to bills. Without good budgeting, such as using a budget program like Mint.com or a cash-only envelope budgeting method, it’s hard to see where or how you can make changes that will free up your money. For most of us, the largest chunks of our income go to housing and transportation costs. For example, if you are a renter, downsizing your home and moving to a smaller place or looking for a roommate could have a big impact on your rent cost, and you might save on utilities as well. Or if your car is a gas guzzler, selling and buying a small, fuel efficient car could save a lot that could otherwise be spent on paying off debt. 3. Is your situation temporary? Realistically consider whether or not your financial problems are temporary. For instance, if you have lost your job, will you qualify for unemployment benefits? How good are your prospects for getting another job? When you file for bankruptcy, the court will look not only at your current income, but also your income over at least the past six months. If you’re currently having a financial problem, but have historically paid your bills on time, consider waiting a few months to see if or by how much you can improve your situation. 4. Can you negotiate directly with your lenders? Many lenders will lower interest rates or adjust your payment plan if you tell them you’re considering bankruptcy. This is especially true of credit card companies, which stand to lose the most. In some cases, you may qualify for a low fixed interest rate, but will need to close the card. If you have student loans, which can’t be wiped out in bankruptcy, you may qualify for hardship programs which will lower monthly payments by changing your repayment schedule, or tie payments to your income level. Alternatively, you may qualify for deferment or forbearance on your student loans, which temporarily suspends payments. Some mortgage lenders offer loan modification programs. Call your lender to see if they have a program you qualify for, and pursue this option before you declare bankruptcy since most lenders are not willing to negotiate afterwards. If your mortgage is modified sufficiently, you may avoid bankruptcy – beneficial for both you and the lender. 5. Have you attended credit counseling? Another good idea is to go to consumer credit counseling. These agencies can help you negotiate with your lenders, which can be stressful and ineffective on your own, especially if you don’t handle confrontation well. They’ll also help you create a realistic budget and debt pay-down plan, and advise you on whether or not to pursue bankruptcy. Be careful who you go with, though. There are a lot of predatory companies that will take your money without actually helping you. Most reputable agencies are low-cost, and no legitimate agency will promise to wipe out your debts or get your debts forgiven for pennies on the dollar. If someone promises that, run in the other direction. Check this list of approved agencies from the Department of Justice. 6. Will bankruptcy actually benefit you? Qualifying for bankruptcy is a pretty stringent process. If you have a regular income, you may be required to file Chapter 13 bankruptcy, in which you set up a payment plan over three or five years. You’ll use most of your disposable income to pay debts, and the court is very strict on what it considers disposable income. You’re alloted money for food, clothing, transportation, medical expenses, utilities, and other necessities, and then allowed to pay secured debts like your car loan or mortgage in full. All your other money will be sent to your creditors. It makes sense to figure out a debt payment schedule beforehand. For example, say that Jane brings home $2,000 per month, has a $1,000 mortgage, and is allowed $400 in other living expenses, which leaves her $600 per month to pay off debts. If she’s on the three-year plan, she could pay $21,600 in debt. If she’s on the five-year plan, she could pay $36,000 in debt. If Jane has significantly less debt than either number, she would probably not benefit from bankruptcy. In Jane’s case, negotiating with her lenders directly could achieve the same or better results without spending the money on filing bankruptcy and taking the credit score hit. Sometimes it can be beneficial to wait before actually declaring bankruptcy. If any of the following situations have occurred within the last several months, waiting even a few months can help you get the most out of the bankruptcy process. For example, you may be able to declare Chapter 7 instead of Chapter 13 bankruptcy, avoid losing valuable assets, or keep from going straight back into debt again by waiting a relatively short period of time before filing. When you file for bankruptcy, the court looks at your monthly income. However, they determine that monthly income by averaging it over the past six months. The court then subjects that average monthly income to the means test, an examination that prevents individuals with a higher than average income from using Chapter 7 bankruptcy. If you are considering filing Chapter 7 bankruptcy, but recently had a high income from a job you lost, it may be prudent to wait a few months until that six-month average decreases. Otherwise, you may not pass the means test and your only option will be to file Chapter 13 instead. If you file Chapter 7 bankruptcy, the court will take your non-exempt assets, such as stocks and bonds or an expensive car, and sell them to pay your creditors. If you have such items, you’ll probably get more money if you sell them yourself. For example, you will likely get more selling your car on Craigslist than you would if the car is auctioned off. Then, you can pay down more of your debt than the court would, or you can spend the money on reasonably priced exempt assets that the court won’t take, such as items for your home. Don’t attempt to hide any money, though, or you will end up in serious hot water. You will also get in trouble for giving assets away that the court could have sold. Make sure you get a fair price as well, and don’t sell to relatives; the court can take back an item you sold and sell it themselves if they think you were trying to do something shady. Once you submit your bankruptcy petition, you won’t be able to add to the list of debts that you are having modified or discharged. In other words, if you expect a large, unavoidable expense in your future, consider waiting until after you charge it or are billed for it to declare bankruptcy. For example, if you are pregnant and will incur medical bills for the delivery, wait until after you have your baby and receive the bills to declare bankruptcy. In this way, you can include those bills on your bankruptcy petition. Otherwise, if you declare bankruptcy before having the baby, you’ll still be responsible for paying the medical bills and may go further into debt. You must be very careful when incurring any new debt close to the date that you declare bankruptcy, however. If the trustee or judge finds that you purchased luxury goods, took out cash advances, or otherwise spent a lot on unnecessary items, they will consider that a sign you acted irresponsibly and those debts may “survive” the bankruptcy. In other words, you will still have to pay them even if the rest of your debts are wiped out. In certain cases, there are other ways to deal with falling behind on unsecured debt, or receiving unwanted collection calls. Also, bankruptcy will not provide a reprieve for certain kinds of debt. Unsecured debt, which includes most credit cards and medical bills, is debt that the lender allowed you to run up without asking for collateral in return. Therefore, if you default on unsecured debt, the lender doesn’t have anything to repossess. A lot of people think that not making their payments is going to have significant consequences like wage garnishment, but most unsecured lenders aren’t able to take these extreme measures without actually suing you in court. If you do get sued, simply filing a response asking the lender to prove they own the debt and that you owe them can delay things for months. If you completely stop paying, especially if the debt is small, they may write it off as uncollectable, or be willing to accept a lump sum for a portion of the debt’s worth. Negotiation of your interest rate or payment terms can work very well with unsecured debt. As long as your creditors think you’re likely to declare bankruptcy, they’re usually happy to negotiate with you because they know that they will get little, if anything at all, during bankruptcy proceedings. There is a simpler way to do this: It’s called the Fair Debt Collection Practices Act (FDCPA). The FDCPA requires that collectors stop calling you if you ask them to. They are also not permitted to call people who know you or to contact you at work if you ask them to stop. Simply send the company a certified letter requesting this. Thereafter, no agency employee is permitted to contact you except to let you know that they are going to sue you or are stopping collection efforts. Suing collectors who violate the FDCPA is a popular and very lucrative new hobby. Recording your calls and saving your voicemails is an effective way to prove that collectors are continuing to call you even after you have asked them to stop. The FDCPA does not apply to your original lender, however, since they have a “business relationship” with you and are permitted contact. Usually, the original lender is not nearly as annoying as a collections agency, though. Bankruptcy treats different kinds of debts differently. Income taxes, court judgments, child support, and student loans are some examples of debts that can’t be erased in bankruptcy in all but the most extreme of cases. If a large proportion of what you owe is made up of these debts, bankruptcy will probably not be advantageous for you. Except for certain debts like intentionally unpaid taxes, back child support, or government-guaranteed student loans, creditors can’t touch Social Security income, unemployment, or welfare. Even if they sue you, they can’t take your money if you don’t have any. 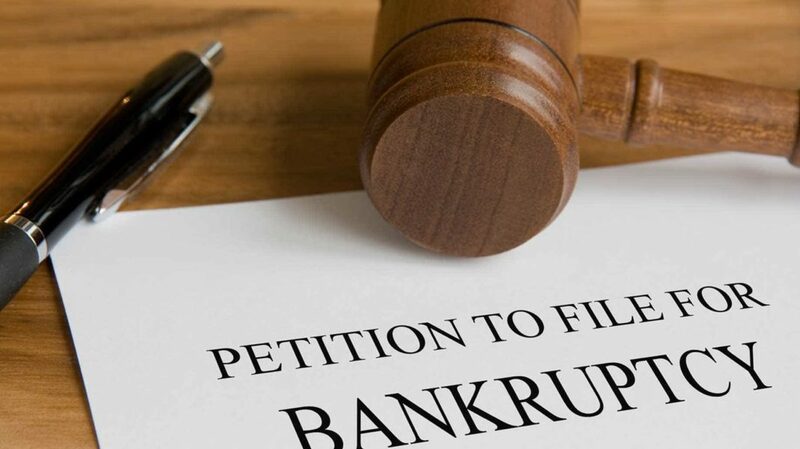 Filing bankruptcy in this case would be redundant because if you do not have an income that creditors can garnish, assets that they can seize, or property that they can put a lien on, there is really not much they can do to you other than annoy you with phone calls. If none of the above situations apply to you, bankruptcy may be a viable option. And if your debt is spiraling out of control, don’t wait too long to declare it. Consistently putting groceries or gas on the credit card because you have no available cash is a big red flag that you are on an uphill treadmill of debt. Most people do this because they spend their entire paycheck on debt payments. This type of pattern makes your situation worse – you spend $100 on your minimum payment, but you need $100 in groceries, so you charge it to the card you just paid. Your total debt will actually go up from this money trade because of interest. Paying one credit card by taking out a cash advance or transferring the balance to another card is just a stalling tactic and doesn’t make your debt go down. If this is a one-time thing, it’s not necessarily a red flag, just a sign of a temporary crunch. But if this happens regularly, your debt will go up stratospherically. It’s hard enough to dig yourself out of debt when it’s at a reasonable interest rate. But if you’ve missed a payment or two, many lenders, especially credit card companies, will jack up your interest rate to 30% or more. Once the rate is that high, most of your payment each month is going towards interest and very little is going towards principal. Plus, the interest rate hike will also increase your monthly payment, which you may already have a hard time paying. If you have unpayable debt at high interest rates, and aren’t able to negotiate lower rates with the lender, bankruptcy may be a viable option. For many people, getting an extra income is enough to diminish their debt. But not always. If taking on a second or third job helps pay your monthly bills, that’s a great start. But if your debt is already so large that an extra 10 hours of work per week isn’t denting it, you may need to consider more extreme measures, such as bankruptcy. In extreme cases, a lender can get a court order to garnish your wages. This means they will make an arrangement with your bank or employer to take money directly out of your paycheck. Your wages can only be garnished if you take home at least 40 times the minimum wage each week (i.e. the equivalent of working full time at minimum wage). But since that’s not very much money to begin with, most people develop additional financial problems if a lender garnishes their wages and will increase their debt with other lenders. If you have received notice that a lender is attempting to garnish your wages, declaring bankruptcy will prevent this order from going forward, at least temporarily. Plus, you may be able to have the debt dismissed. It won’t help your financial situation one bit if you’re so worried over debt that you can’t focus at work and get fired. If debt problems are interfering with your life to a significant extent, declaring bankruptcy might go a long way towards improving it. This is money for your future. If you pull that money out, you’re not only robbing your future self, but also creating a tax bill that might become one more debt you can’t pay. Since many retirement accounts are protected in bankruptcy, avoid pulling any money out if you’re considering declaring it. If, despite all your best efforts, you’re not making an appreciable dent in your debt, it may be time to petition for bankruptcy. Many people think that the point at which they should declare bankruptcy is when they’re broke. But being penniless will actually make the process that much harder. While you can certainly declare bankruptcy on your own, many people choose to hire a bankruptcy attorney, which can cost between $1,000 and $2,500, even for a simple case. If you are certain that you’re heading towards bankruptcy, it can be a smart move to stop paying bills (like credit cards that may be discharged anyway) and save your cash for an attorney. Not surprisingly, bankruptcy attorneys don’t take credit cards. That said, keep paying on your mortgage or car loan, since you will have to make up those missed payments plus fees if you want to keep the car or home. Also, once you declare bankruptcy, your creditors will be notified and they’ll probably reduce your available credit or otherwise limit you from further credit card use. If you’ve been living entirely on credit, you will need to have cash on hand for living expenses after submitting your bankruptcy petition. 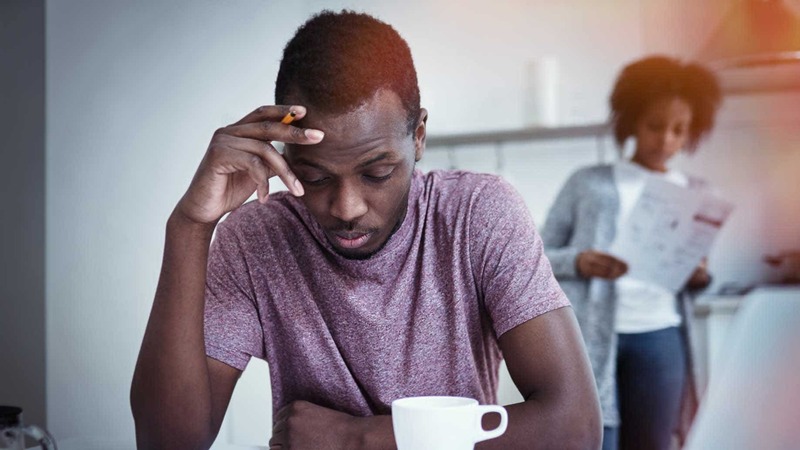 Declaring bankruptcy is a huge financial step, but if a string of problems has left you mired in debt, it may be the right step to get you back on track. However, if used inappropriately, you could end up in a worse financial situation than if you had tried to solve your problems through less extreme measures. Bottom line: Consider and pursue all bankruptcy alternatives first. Then, if you do decide to declare bankruptcy, time it correctly to get the most debt wiped out via the process. Have you ever filed for bankruptcy? When and why did you do it?